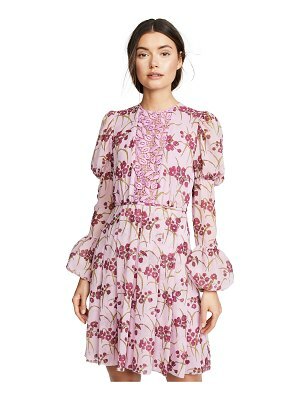 Dress by En Creme, Floral design, Break out the blooms, High neck, Tie-keyhole front, Button placket, Fluted sleeves, Relaxed fit, Loose but not oversized. Not just a fancy name, En Creme makes some pretty nice clothes too. Inspired by the relaxed vibe of California, the brand started selling its boho-style creations from its LA store in 2002. Take notes from the West Coast and dress for the weather you want in festival-feel dresses, rompers and kimonos. We've fallen hard for its tie-dye prints and wallpaper florals.